Rhiannon Moore's summer science adventure took place in a lab, elbow deep in the bellies of deceased beluga whales. It was an environment she describes as a mix between the TV shows Dexter and Breaking Bad. Moore is a researcher in the Ocean Pollution Research Program at Ocean Wise and a Master's student in the Department of Biological Sciences at Simon Fraser University. 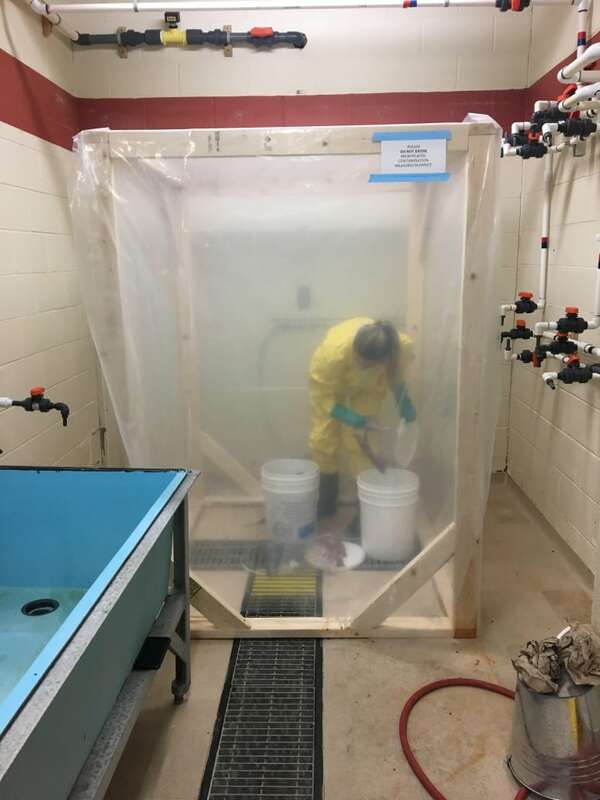 Clad in a yellow coverall, she's been looking for microplastics — tiny fragments of plastic less than five millimeters in size — in the guts of Arctic beluga whales, to understand how plastic is contaminating Arctic food webs. "I'm looking for microplastics because the beluga food web is a very important food web both in Canada and to Inuvialuit communities," said Moore. 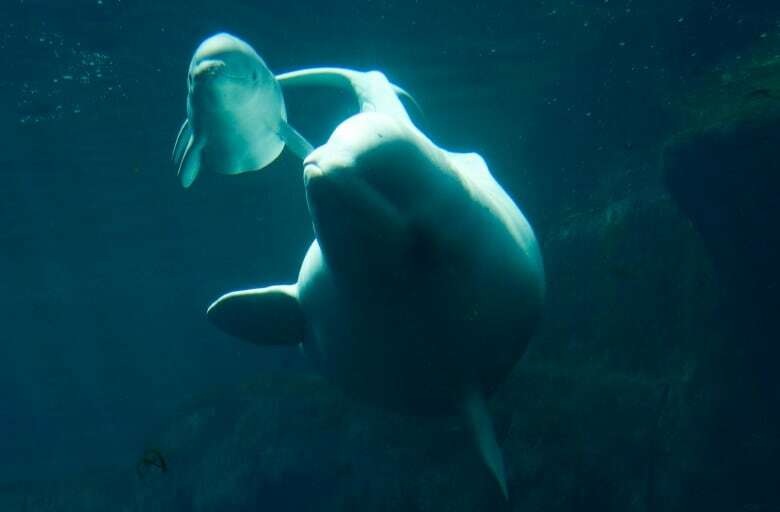 Beluga whales are a source of food for the people of Tuktoyaktuk on the northern tip of the Northwest Territories. The community hunts about 15 whales every season. 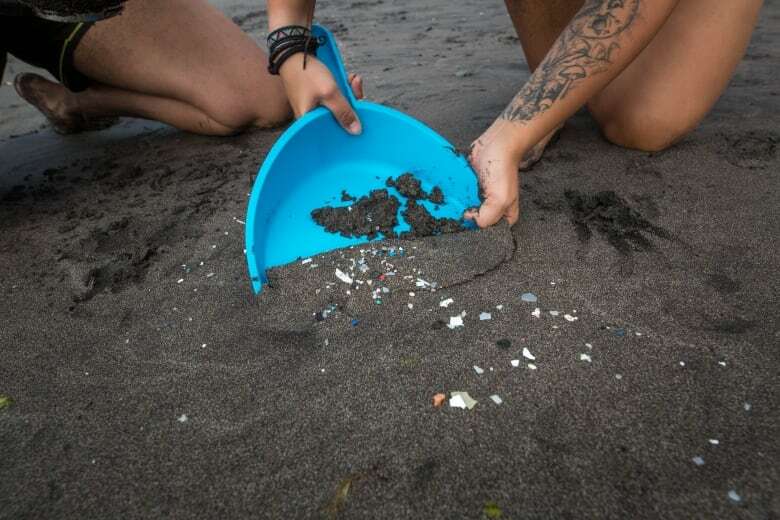 But microplastic from many sources, from garbage to abandoned fishing gear to clothing could be contaminating their food sources. Most of the microplastic found in the ocean actually come from our clothes, said Moore. During washing, microfibers in the clothes are released and enter the wastewater stream. Because of their small size, they don't get filtered and end up in the ocean. "Plastic is found in every environment. It's been found in sea water samples off the B.C. coast, deep sea sediment in the Arctic, sea ice, in many different Arctic birds and fish," she explained. "If microplastics are in all of these different areas, are microplastics ending up in this [Arctic] food web as well?" 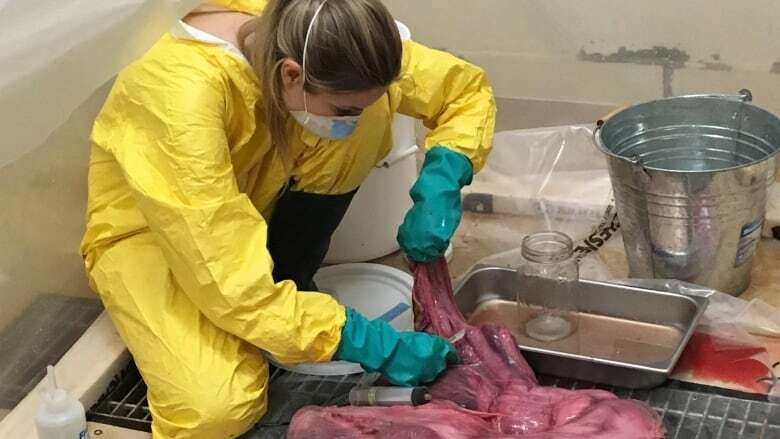 To study the contamination, she received eight donated beluga whale stomachs from the Tuktoyaktuk community's seasonal hunt. Each stomach is about the size of a pumpkin and has multiple chambers, similar to a cow's stomach, Moore says. "You're kind of exploring to this huge maze of organs." The smell can be challenging to handle for Moore, who's a vegetarian. She likens it to the aroma of an old steak. In the lab, she wears a dust mask along with her coveralls and applies eucalyptus oil to mask the smell. The actual dissections can get pretty gruesome. "It's definitely not pretty, and it's definitely not clean," said Moore. "Generally, I start from one end and work my way through all the way to the other end using a scalpel and some scissors." She usually works with a section of a stomach at a time. She applies a a strong chemical base to samples to get rid of the organic materials. Then, she would rinse the sample into a clean glass jar. The rinse liquid from the stomach then gets transferred onto a filter paper. And finally, she studies the filter paper underneath a microscope to look for any microplastics. It's hard not to have messy accidents when you're doing this all day long. On one occasion, she was handling an awkward stomach sample, and it tipped over in her hands. Parts of the slimy organ fell into her boots and ran down her legs and soaked her socks. She threw away those socks. So far, Moore has examined two stomachs and has found particles that do look like plastic. She has sent her findings to a forensics lab to get them identified, and received confirmation that one of the big pieces found in a sample of whale feces is polystyrene. "It definitely sounds some alarms that they're ending up in these pristine food webs," said Moore. She advises that to reduce microplastic contamination, people can start by being more conscientious about their plastic use and reduce single use plastics. Ideally, she adds, developed countries should also help developing countries with their waste management issues. "The ocean is a global resource. Nobody owns a specific part of the ocean and it's really important for us to all work together because fish move and plastic move and we need to combat it globally." There's more work to do in her lab, but Moore is motivated to keep going. "It's a dirty job but an important one." How do CO2 emissions from forest fires compare to those from fossil fuels?